April 15, 2016 | -by: Kevin George. In order to acquire great conversion rates, it’s quintessential to acquire an appealing landing page that helps in delivering your message in an accurate way. A well optimized landing page that represents your service can help in fueling up the conversion rates by up to 50%. After all, a landing page is the first page that introduces you to your potential customer, and it has to create a lasting impression to attain divine and nurtured leads. To offer you the bliss of attaining great conversion rates, Monks share with you beautiful yet converting Landing Page Inspirations. From including a video to keeping the CTAs both above and below the fold, Dropbox has managed to follow every rule of thumb of a high-converting landing page. A simple, crisp, appealing yet stuck to theme landing page that doesn’t fail to deliver the message in the clearest way. The juxtaposed yet specific CTA is unavoidable which makes this landing page a click-attainer. 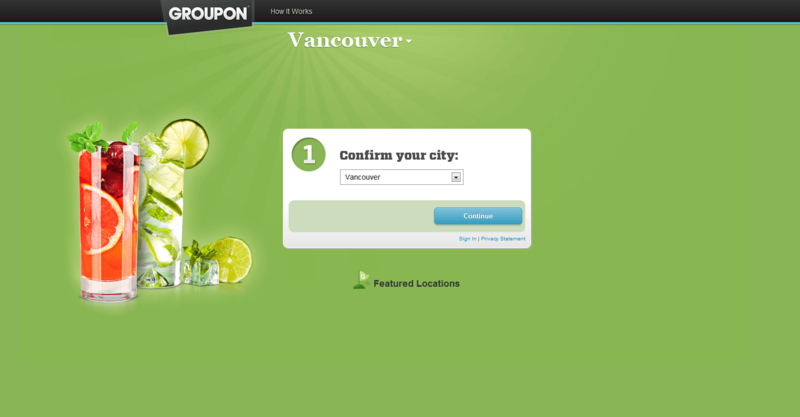 A wonderfully designed landing page from Groupon that successfully holds the attention of the visitors. This landing page features green color as background which is soothing to the eyes. A simple, neat, and subtle landing page with an image that give a chilly feeling in the burning summers. No wonder Groupon gets ample clicks every time. 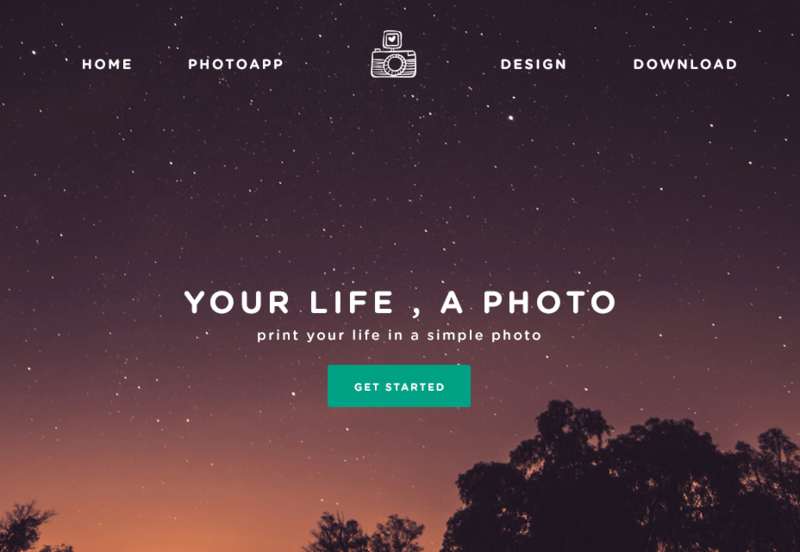 A completely awestruck landing page from Phototime that is constructed perfectly. Dark green CTA with a well optimized copy that instantly grabs the attention. The headline is crisp and the sub-headline goes well with the title too. Who wouldn’t want to click that tempting CTA! Just by looking at this landing page you attain a soothing and serene sentiment. 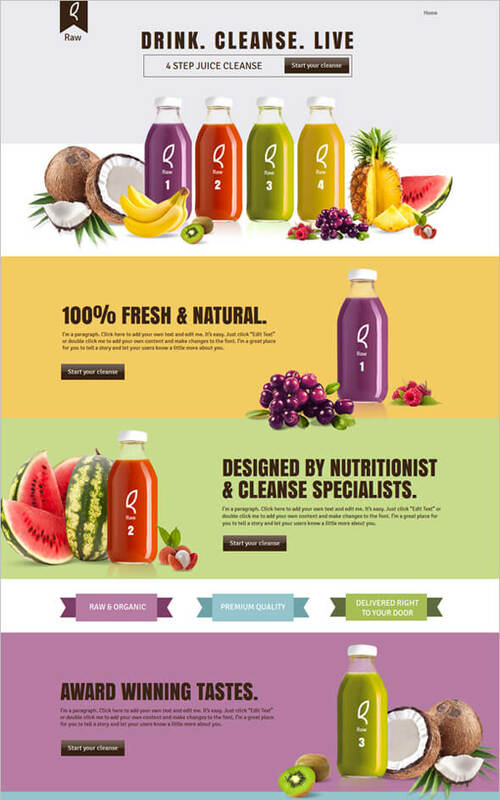 Raw’s landing page is long enough to provide the complete information and enchanting enough to sway the visitors. It appears to be a dash of all the colors that are placed beautifully and enhances the brand’s persona. The multiple colors make this page hard to ignore and the CTAs are just unavoidable. What’s not to like in this landing page? With the explosion of colors, this landing is thumping the hearts of the visitors already. The used image is appealing and connectable. The copy is crisp and well optimized while the CTA follows the same color theme and provides the idea of what to do next. When other companies try to flaunt their creative side by putting everything on a landing page, Tank app’s landing page on the other hand keeps its plate neat and simple. The landing page efficaciously delivers the message of its service. Though the landing page is simple, but it certainly creates a lasting impression. When many marketers fall prey to a poorly designed landing page, many other marketers play wisely and acquire such landing pages that are built wonderfully, reflect the offered services and are highly optimized. Are you too tripping and falling into the pitfalls of a poorly designed landing page? 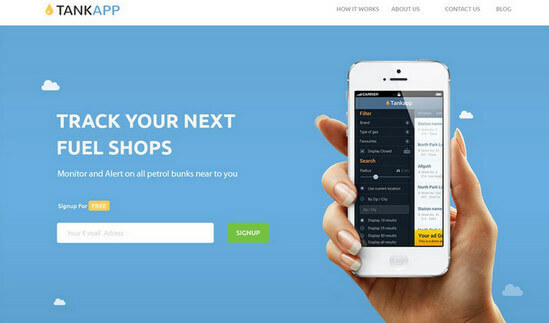 Monks can help in design and code beautiful and divine landing pages for all your campaigns. To get blessed with heavenly landing pages visit our order page and explore a new biosphere of enchanting landing pages.